Dozens of Palestinians suffered different injuries after Israeli Occupation Forces (IOF) violently supressed West Bank weekly protests. In al-Khalil, a number of Palestinians suffered from tear-gas suffocation as Israeli forces suppressed a peaceful protest in Qalqas village demanding the opening of its entrance. In Ramallah, Israeli forces injured five Palestinians by rubber-coated steel rounds after attacking Palestinian protesters who were demonstrating in Ras Karkar village against the imminent confiscation of lands by the occupation authorities. The protesters were calling for the revocation of Israeli plans to confiscate large tracts of land belonging to Palestinians from the village and from nearby villages for settlement expansion purposes. Also in Ramallah, several Palestinians suffocated after Israeli forces quelled two marches in the villages of Bal’in and Ni’lin. Forces fired teargas to disperse hundreds of Palestinians who took place in the two marches against Israeli settlement activities and the Israeli Apartheid Wall, causing many cases of suffocation from teargas inhalation. 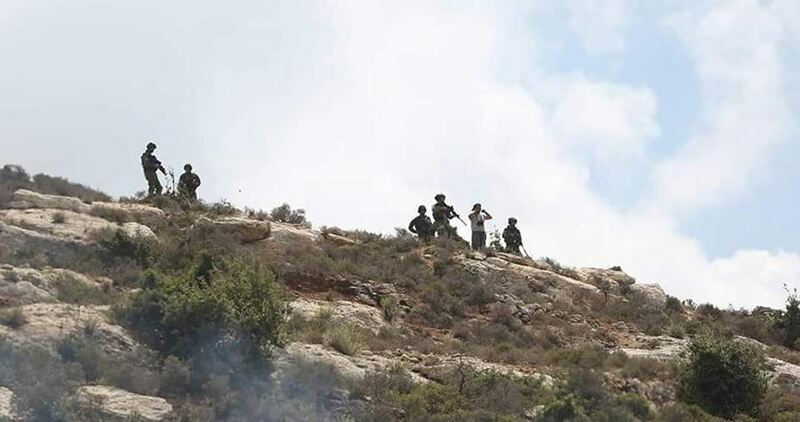 In the meantime, the firing of teargas canisters by the Israeli forces in Bal’in caused fire to erupt in a tree-planted area, and dozens of olive trees were reportedly burnt as a result.